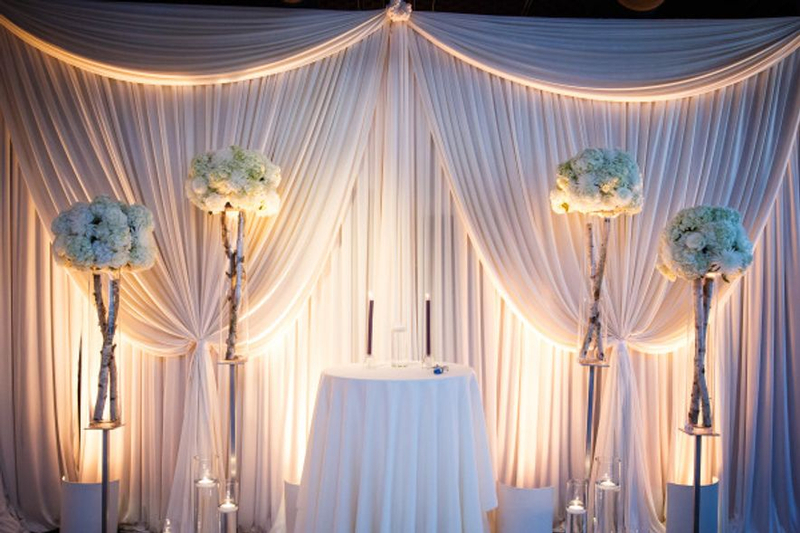 At first thought, white-on-white might sound kind of boring but it’s one of the biggest trends in wedding décor right now. It’s elegant and timeless and it’s also adaptable to a myriad moods and styles. Whether your wedding is on the beach or in the city, ultra-modern or relaxed and casual, you can do white in a distinct and unforgettable way that feels just right for you. 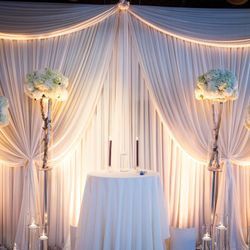 All white linens, flowers and décor can be accented with uplighting to surround your guests with color for a very dramatic effect.